Designated busiest in the United States, outpacing other long-established centers. The lung transplant team at St. Joseph’s Norton Thoracic Institute completed 114 lung transplants in 2016, more than both the Cleveland Clinic (110) and UCLA Medical Center (103), according to the Organ Procurement Transplant Network, which is administered by the United Network for Organ Sharing (UNOS). 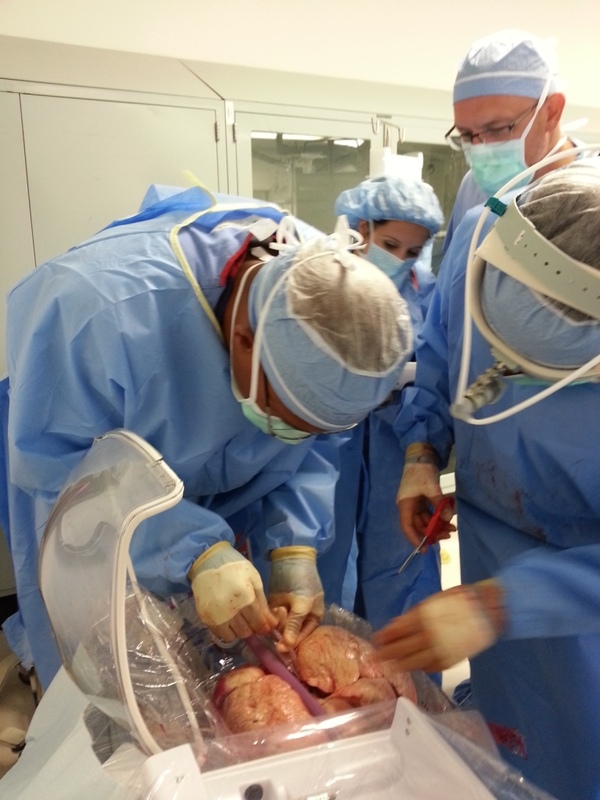 The Valley’s first lung transplant program’s leap to No. 1 for the number of lung transplants performed comes as the center celebrates its 10th anniversary this April. Prior to the program’s launch, many Arizona lung transplant candidates had to travel out of state for the complex procedure. During their inaugural year, the small team at St. Joseph’s completed 13 life-saving transplants. Norton Thoracic Institute is not only growing, it’s excelling. Recent data indicates that the one-year survival rates and wait-list times are better than national averages. Opposed to months or years at other centers, the average wait time for a pair of donor lungs at Norton Thoracic Institute is about two weeks, said Rajat Walia, MD, pulmonologist and medical director of the institute’s lung transplant program. “The achievements of the Norton Thoracic Institute program wouldn’t be possible without Dr. Bremner’s vision, the generosity of our community, donors like the John and Doris Norton family, and especially those who give the gift of life through organ donation,” St. Joseph’s president and CEO Patty White said. According to UNOS, the one-year survival rate for a lung transplant patient is approximately 85 to 90 percent, and about half of all patients live five years after the procedure, but Dr. Bremner said he’s hopeful their longevity will increase as St. Joseph’s expands its research efforts. “Within the next five to 10 years, it is our hope that researchers will discover a solution to the complex processes that cause chronic rejection hindering the long-term function of lung transplants,” said Dr. Bremner. Lung transplantation is among the most complicated surgical procedures, requiring precise, to-the-minute planning and meticulous life-long care. In all, the program has performed more than 500 lung transplants for patients from more than 20 different states and two other countries ranging in age from 15 to 77 years old. “We’ve transplanted physicians, a Pulitzer prize-winning photographer, musicians, cowboys, high school students, teachers, grandparents, a mother of a child with special needs, and a woman who went on to hike the Grand Canyon for the first time post-transplant. For all of us, lung transplantation is not just a job or a service; it’s a passion,” added Michael Smith, MD, surgical director of the institute’s lung transplant program. Nearly 1,500 people nationwide are awaiting a lifesaving lung transplant. To ensure those seeking care at St. Joseph's Hospital, donate now. Couple with deep roots in the Valley give back to the community they love. New technology provides relief from nightly heartburn. World-leading researcher gives new hope to transplant patients.